A goal after the siren has sunk our Under-16s by three-point against the Eagles at Flinders University Stadium on Sunday morning. Our young Panthers fought back incredibly hard to put themselves in a position to win, but ultimately fell to a 10.9 (69) to 11.6 (72) defeat. We were after a fast start as we have been slow out of the blocks in the opening two rounds. To the players credit our intensity was very good for the first five minutes, but we were unable to capitalise on the scoreboard. The Eagles then gained control of the game and hurt us on turnover which ended up in goals. At the first change we found ourselves down 21. We worked our way on top in the second quarter and controlled the play with our composed ball use. This time we were able to hit the scoreboard and went in at halftime trailing by just a goal. The third was a real arm wrestle. As the breeze started to pick up it was going to be important to stay close enough as we were coming home with it behind our backs in the last. We trailed by only nine points at the final break. The players defended really well, but we just couldn't capitalise on a few late opportunities to score. Heading into the last we allowed the Eagles to score the first two goals of the quarter. Down 22, now things we're getting desperate. The playing group showed great resilience to kick the next four goals and hit the front with two minutes to go. We won the next clearance, but the Eagles managed to rush a point. We now lead by three points with 60 seconds remaining. However, Woodville then went coast-to-coast without us touching the ball and took a mark inside 30m with 20 seconds left. The siren sounded and they slotted the goal and we lost by three points. The players showed great spirit to get back into a position to win but just fell short. 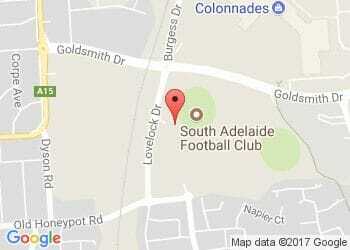 Next Saturday we travel to Prospect Oval to play Central District on neutral ground.